Web attacks and infections are growing among SMEs, startups and blogs. The target of a cyber attackers is no longer just big companies. Any website, developed or not with WordPress, Joomla or any other content manager, can be infected. Not only is suffering from the infection. In several reports and studies it is revealed that internet SMEs, even startups, can fail after a cyber attack, not being able to cope and trace their online business. And that is because infections and attacks can cause a disaster on your online reputation. And make you lose customers or users for good. 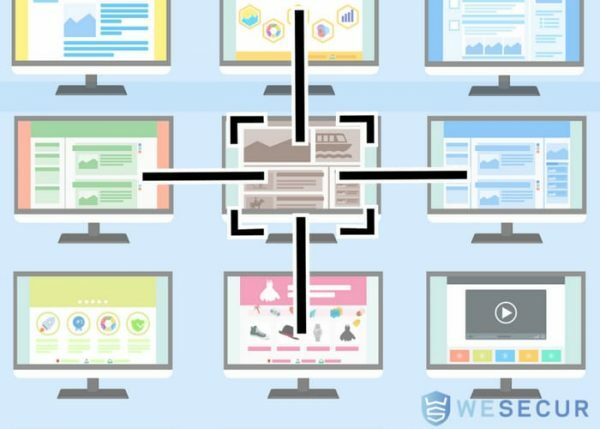 Your domain may point to a page of illegal content or maybe it appears harmful advertising on your site. And is that to be able to automate infections the only thing that the attacker must do is look for websites with vulnerabilities and infect one by one. Its main objective is to earn money. Maybe by phishing, cheating your users, with malicious ads or using your website to make attacks. Plugins or issues not updated: it can be tedious to have to update all the plugins every time we receive a notification. But it is just not doing it or having custom plugins that do not allow you to update, one of the entry doors of the attackers.